Public sector J & K Bank is mulling to sell partially or completely its 5 per cent stake in MetLife India Insurance. The bank has already divested its MetLife India stake partially to reduce its equity from 11 per cent to 5 per cent. CEO and Chairman of J & K Bank, Mr. Mushtaq Ahmed said that it had raised Rs 190 crore by selling 118.1 million shares to Punjab National Bank. Fund raised by selling equity has been put into the bank's reserves. J & K Bank is a corporate agent of MetLife India, which through its network branches, sells insurance products. It controls 68 per cent of the loan book in J & K and has 63 per cent share in deposits in the state. 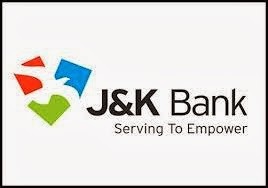 J & K Bank has provisioning coverage ratio of 94 percent, Mr. Mushtaq said, adding, “Our capital adequacy ratio is 13 per cent while the requirement is only 9 per cent." The bank is aiming to add 250 more branches to its 750 branch network. Although, the bank is not in hurry to expand its overseas, Mr. Mushtaq said.